Are Jhoira and Venser dead? Were they torn to pieces by the storm of glass swirling about them? Of course not. It's time for them to get out of this mess. Jhoira wakes with the grit of sand in her teeth and the screeching sound of glass on glass in her ears. But at least she isn't dead. A standard part of her spell includes a bubble of protection for all particiapants and it seems to be working just fine. She can move around and the storm just flows around her. However Teferi doesn't have any such protection and if Corus threw him in afterwards, he'd be dead unless his powers stopped malfunctioning. Jhoira touches the ground and allows herself to really reach out and sense her homeland. It feels the same. It's still worn and mana-drained much like before the continent became whole. 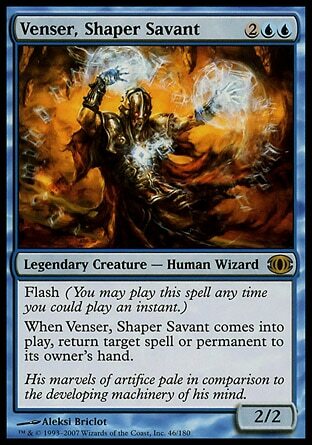 But Venser and Teferi sense something different. She has to trust they're right. On cue, Jhoira hears Venser calling out her name somewhere out there in the storm of glass, sand, and blood. 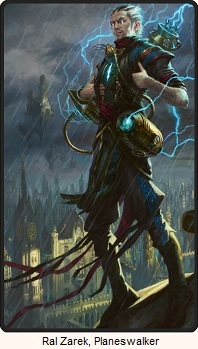 Venser has visions of being a bolt of lighting, with his head in the clouds and his feet in the earth. He wakes, and with some testing he discovers that the strange bubble of protection that's kept him alive moves as he moves. It takes a bit of yelling, but he eventually finds his way to Jhoira. She looks like the fall was rougher on her than it was on him. He's thrilled to hear that he might be of some use when one of the first things out of her mouth is to ask for his help. Then he hears her say that her shoulder is dislocated and since there's no wall nearby, so he need to hold on to her arm and brace himself. Crestfallen, Venser stepped forward and gingerly took hold of Jhoira's wrist. He had hoped to be of more use than as a wall, a second-choice wall at that, but concern for Jhoira's obvious pain quickly blotted out his wounded pride. With her arm feeling much better, she asks him what he remembers about the spell. He says that he thought she wanted him to let go when the power increased but he couldn't, so either she let go of him or his numb hand just slipped from her grasp. She says she didn't let go, that it seemed more like his hand vanished from her grip. Well, regardless, the next step is to the find their way out of the storm. If there really are surges of power coming from the boundary, they can use that to orient themselves. She thinks it was either those surges, or being in contact with Venser himself, that increased the power of her spell, so she asks him to grab her hand again and test it out while she creates a small flame in the palm of her hand. She rotates in a circle and they can see the size of the flame ebb and flow depending on which direction they face. Venser thinks to himself that he can sense it without needed the visual cue, but he doesn't tell Jhoira and continues to hold on to her hand. They have two directions to choose from along the boundary and just hope the one they pick will lead them back to Teferi. They step back out of the glass storm and into the more normal harsh and sulfuric air of the ruined Shiv. 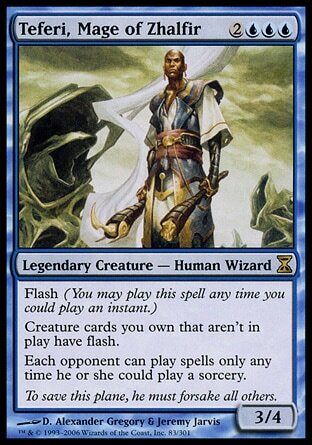 Teferi is still sitting cross-legged in the sand where they'd last seen him. He seems physically okay, but when they ask him questions it's clear he's also still not fully there. "Hello," he said. "Where have you two been?" "Corus attacked us," Jhoira said. "Drove us off. It took time to find our way back." "Good, good." 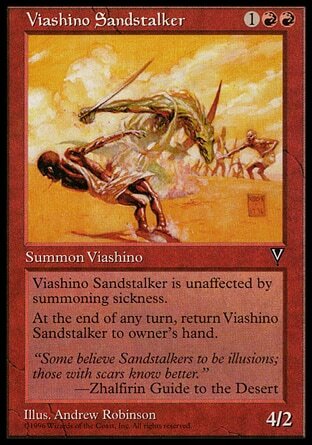 Teferi turned back to the sand in front of him. "No harm done I take it?" Jhoira continues to try to get through to him, while Venser examines a strange sheet of glass in the sand. He calls Jhoira over and together then peer down into what's not just a sheet, but a column of glass that goes deep into the side. And Corus is frozen inside of it, along with a broken mana star. Maybe he took out his frustration on Teferi's artifact first, before going for the wizard, and in doing so he cracked it. Cracking something with that much power is never a good idea. With no need to worry about a murderous Corus trying to track them down, they get Teferi up on his feet and start walking. If Shiv is as she remembers, her people are a two days walk from where they are. 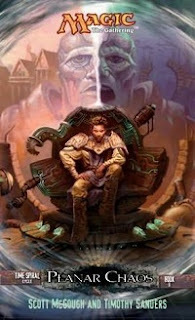 Take a guy who lived most his life alone and put him in a crazy situation involving a barbarian elf, a couple of monsters, a couple of hardened warriors, an intimidating all-powerful planeswalker, and a pretty girl that enjoys and understands his love of artifacts. Of course he's going to develop a crush on her! 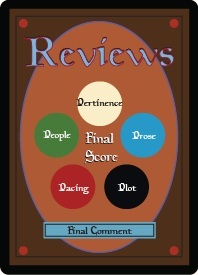 Sometimes romantic interest can really ruin a scene or story when it's handled improperly. Sometimes it feels too forced. Not here. We have this guy who isn't a fighter and was mostly dragged into this whole situation, and they've had hours upon hours of down time whenever Teferi felt like disappearing. It's clear to us that Jhoira doesn't feel for him as he does for her, and we're just watching him jump at every chance to hold her hand or opportunity to impress her. 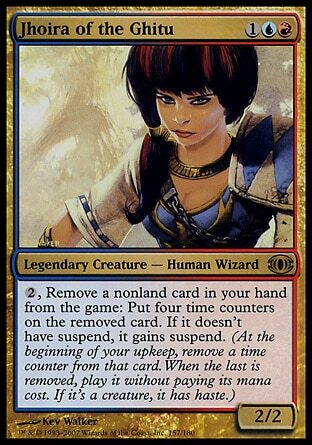 Let's face it, she's over a thousand years old and she's lived most of that thousand years with Teferi as her constant companion. And he's no longer a god. Once Teferi's mind comes back to him, as long as he survives, they're the ones that are going to end up together. I hope she let's Venser down easy.